Dear Friends for Life: What’s wrong with the Syrian Government? Killing their own citizens, including children? Where is the outrage of the international Christian community? 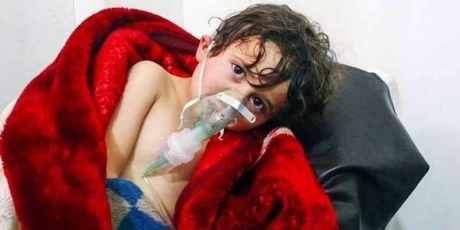 The Syrian Air Force allegedly dropped chlorine gas bombs on children in a residential neighborhood. Their bodies gasped for air on hospital stretchers as medics held back tears, and watched as they suffocated to death. Thus reads the Avaaz.org newsletter, a global network working to ensure that the views and values of the world’s people shape global decision-making. One humanitarian worker states ‘I wish the world could see what I have seen with my eyes. 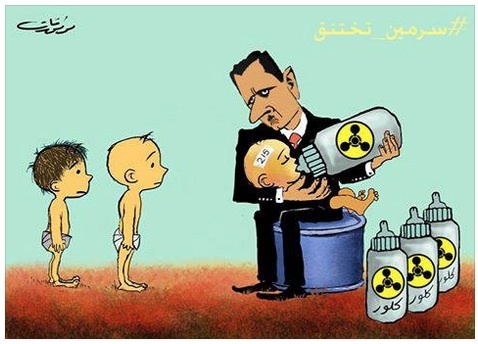 It breaks your heart forever.’ This is not the first time Assad has used chemical weapons on his own people. But this attack comes just days after the UN Security Council passed a resolution condemning the use of chlorine gas in Syria. A chemical-weapons attack in August 2013, allegedly carried out by the Assad regime, killed an estimated 1,400 people in the eastern suburbs of Damascus. Last November Amnesty International documented air strikes that killed up to 115 civilians, including 14 children. Recently, in a two-week time frame, Syrian Air Force dropped over 401 barrel bombs on rebel areas which included non-rebel areas or on the so-called “COLLATERAL DAMAGE” areas. The deliberate targeting of civilians is a “war crime”. It is time for the international Christians community to be heard. Time for a worldwide condemnation. The Syrian government and its Syrian Air Force must be stopped and held accountable for “crimes against humanity”. Here are a few actual videos published by opposition activists on Mar 16, 2015. Videos posted online showed medics in gas masks dousing victims with water and children lying immobile on hospital beds with foam around their mouths. This is reality today. 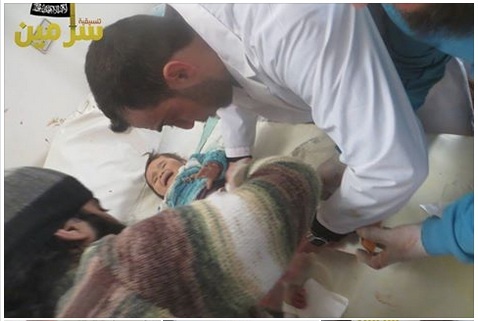 Your voices and participation are not reaching the Syrian victims suffering from chlorine gas bombs and barrel bombs. The numbers continues to increase with each day.